Three well-known flight simulator enthusiasts teamed up to discuss Dovetail Game’s Flight Sim World. Bel Geode, Sérgio, and Novawing24 called themselves the “Three Grumpy Simmers” in this inaugural video. What is Flight Sim World? Flight Sim World (FSW) is a new comprehensive flight simulator from Dovetail Games (DTG). It builds upon old software technology from Microsoft’s Flight Simulator X (FSX). However, DTG’s new update brings the software into the modern world by incorporating 64-bit technology, DirectX 11, as well as other new features. FSW is currently in the early access phase. Consequently, avid flight simmers have the opportunity to participate in the software development by providing feedback to the developers. I’m looking forward to trying FSW with a multi-monitor setup in the DIY Deluxe Desktop Flight Sim. What Do People Say About Flight Sim World? Keep in mind, the flight sim community has a tendency to “eat their young.” That means many potential customers want a new advanced flight simulator platform to replace FSX, but they also tend to ridicule any development team that attempts to do that. The Three Grumpy Simmers take on that issue as FSW is a long way from final release. They make the point it’s unfair to compare FSW in its current state to established platforms like Lockheed Prepar3D. At one point Bel Geode “wags the finger” at DTG about the lack of information about FSW for several months. I encourage you to watch the entire discussion (see Novawing24’s video below). Who are the Three Grumpy Simmers? 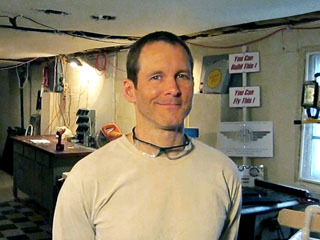 Bel Geode (Drew Bolton) has been a flight simulation enthusiast since 1986, and has been an active member of the community since 2005. 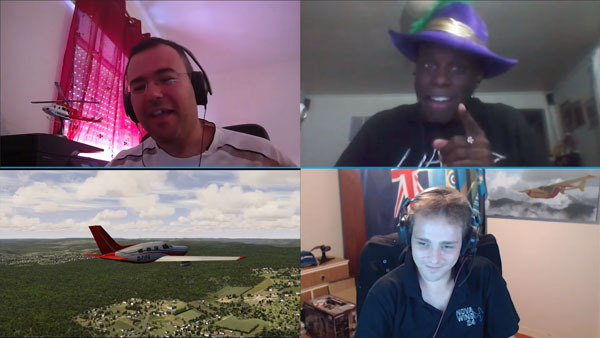 A former virtual airline CEO, Bel has embraced many aspects of flight simulation, and understands how to connect with the community at large through his Twitter Profile, YouTube channel, and public appearances at events like Flight Sim Con. Novawing24 (Tristan Ayton) hosts a weekly news program with a focus on the Simulation genre. See it on YouTube. Believeing that giving back to the community is important, he provides open and honest commentary and feedback on developments in the simulation genre. He has also tried his hand at texture design, with content available at his website and at the AVSIM Library, as well as writing for numerous websites. Sérgio Costa is a flight simulation enthusiast with over 20 years experience. His passion with helicopters developed during MSFS 2000 when he discovered the complexity of these aircraft and the challenge it was to control them. Since then he has been primarily a helicopter flight simmer, trying his best not to crash and kill all his virtual passengers. Sérgio is HeliSimmer.com’s editor and writer.